An ideal addition to your conference, exhibition or event. Printed graphic area: 850mm wide x 2250mm high also available in 1,200mm & 1,500mm widths - extra charges apply. Unit price for 850mm size, printed on one side: 1 -3 units @ €145.00 each / 4 - 5 units @ €125.00 each. Prices quoted are exclusive of vat and graphic design charges. Contact us now for a product template. 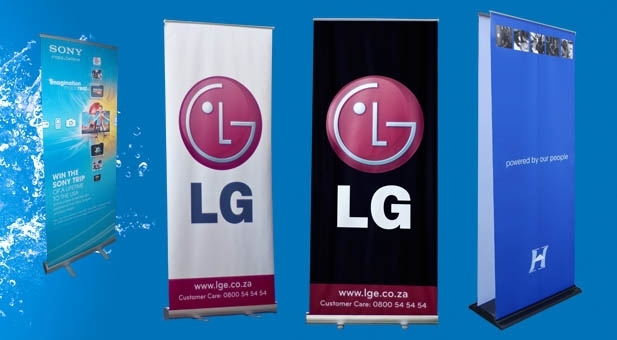 Banners are supplied with a base, stand, pole & carry bag. Please add €15.00 for delivery within Ireland. Subject to stock availability.